Economical value pack of our top-selling scrapbook page! 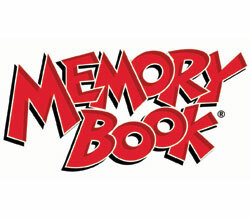 Memory Book pages hold a true 12 x 12 insert; no trimming is necessary. Pages offer you acid-free protection in a premium quality sheet that won't yellow, stick to photos or transfer ink. Fits 3-ring binder and most 2-post albums. Super strong clear binding edge. Contains no PVCs. Clear. 50/BX.